We are happy to welcome back the Rev. Judy Tomlinson, who served as our DRE from 1991-2000. While working here she completed her Bachelor’s degree at CSULB in Human Development and Women’s Studies and then her M.Div. at Claremont School of Theology. She was ordained in May 2001 by the UU Congregation of Montclair, NJ, where she served from 2000 to 2017, first as Minister of Religious Education and then as Associate Minister. In 2017 she returned to Southern California and currently serves as DRE at Orange Coast UU Church in Costa Mesa. 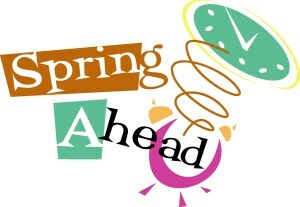 NOTE: Daylight Savings Time begins - SET YOUR CLOCKS AHEAD! Music is a tool that aids in community-building. In this service, our Music Department explores the community and connections that have been built by the music of the Beatles. The Choir is singing at both 9:00 and 11:00! It’s Bring a Friend Sunday. As a young boy, I grew up in a family with a complicated and confusing relationship to money. We didn't have any. My siblings and I watched as our parents worked multiple jobs to help us get by. But that just cost us in different ways. Money – and conversations about it – brought up feelings of tension, anxiety, despair, and even anger. But there was one moment that cut through everything and spoke volumes about what we felt was missing: our value, our worth, and our future. On our Stewardship Kickoff we will talk about the antidote to shame and guilt regarding money. And we’ll have a New Member Ceremony. In our culture we are quick to leap to conclusions and make assumptions about other people and their beliefs. We all might be better served by adopting a practice of starting with curiosity. A pithy dictum: Be curious, not furious. How might such a practice change how you move through the world? Heart and Soul: A Contemplative Worship Service @ 5 p.m. - "What Does it Mean to Be a Community of Trust?" Heart and Soul is a contemplative worship service series that usually occurs on the second Sunday of each month. It is a shorter, more intimate service, with singing, statements, and questions, silence, and sharing. Readings, poems, quotes, and music are drawn from a variety of sources, including the UU Soul Matters Sharing Circle, our hymnals, and popular/folk music. Falling in love is the euphoric moment when we discover someone with the unique combination of what you've always wanted and needed: attention, acceptance, appeciation, affection, allowance - what David Richo calls 'the 5 A's of Love'. And, somehow, you muster the courage to go all in. You find - or borrow - enough to lower the powerful shield of our ego, and rejoice and make promises that bind you in that reunion with connection. But there are downsides as well. As he has just announced his engagement, this is Rev. Greg's chance to talk about the promises and pitfalls of True Love. Trust - and Faith - are commodities that religion is known to supply. But when your denomination tends reject faith healing, miracles and messianic references, it might not seem so surprising if, when you find yourself at a moment where a little extra trust and faith are needed, the shelves in your church where you'd expect them to be kept simply show a small sign saying, 'out of stock - check back with the store manager next week.' But, we all know, no one can supply trust. It's something we have to manufacture ourselves. Is Superman a Unitarian Universalist? Who are our superheros and just what is it that makes one a superhero? Is it possible that as we work together to create a world that turns aside from racism, violence, dehumanization, and disregard for suffering that we too can be superheros? Last year, anti-racism activist Bryan Stevenson - with allies at the Southern Poverty Law Center - raised money and opened a new museum in Montgomery AL that chronicles the personal, histoirical and violent narrative of our relationship with race in the US. This service is based on a slam poetry style sermon telling the story of how the black experience moved from slavery through Jim Crow reconstruction, through Civil Rights and right into a new era of systemic White Supremacy. This service will trace our progess through a photograph, stories and music.